In a report titled "Benchmarking for Success," high-level state officials call for action to ensure that American students are globally competitive. Education leaders, the report advises, should renew the focus on international benchmarking and look toward other countries for help in drafting state achievement standards. The report's advisory group, which consisted of governors, state education commissioners, business executives, researchers, and other officials, identified five transformative steps the U.S. education system should take to produce more globally competitive students. The group was convened by the National Governors Association, the Council of Chief State School Officers, and Achieve Inc.
1. Upgrade state standards by adopting a common core of internationally benchmarked standards in math and language arts for grades K-12. 2. Leverage states’ collective influence to ensure textbooks, digital media, curricula and assessments are aligned to internationally benchmarked standards and draw on lessons from high-performing nations. 3. Revise state policies for recruiting, preparing, developing, and supporting teachers and school leaders to reflect the 'human capital' practices of top-performing nations and states around the world. 4. Hold schools and systems accountable through monitoring, interventions, and support to ensure consistently high performance, drawing upon international best practices. 5. Measure state-level education performance globally by examining student achievement and attainment in an international context to ensure that students are receiving the education they need to compete in the 21st century economy. Don't forget to visit the Measuring 21st-century skills resource center. Graduates who enter the workplace with a solid grasp of 21st-century skills bring value to both the workplace and global marketplace. 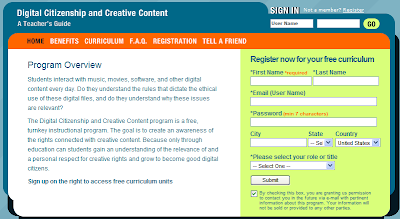 Students interact with music, movies, software, and other digital content every day—but many don’t fully understand the rules surrounding the appropriate use of these materials, or why this should even matter. To help teach students about intellectual property rights and encourage them to become good “digital citizens,” software giant Microsoft Corp. has unveiled a free curriculum that offers cross-curricular classroom activities aligned with national standards. The Digital Citizenship and Creative Content program was designed for students in grades 8-10 but can be adapted for use in grades 6-12, Microsoft says. In one unit, students are given a scenario in which a high school sponsors a school-wide Battle of the Bands. A student not involved in the production decides to videotape and sell copies of the show to students and family members. Using smart phones and other mobile devices for learning isn't just a trend, but rather a sustainable approach to educational technology that can adapt to future assessments and help raise student test scores significantly, said presenters at the first-ever Mobile Learning Conference in Washington, D.C., Feb. 17. This image was part of 'Towards the m-portfolio' presented at ePortfolios 2007, Oxford. Year after year, when students are asked on our Speak Up Survey what they'd most like to have, I get the same answer," said Julie Evans, CEO of Project Tomorrow, a national education group that publishes the largest annual survey of student, parent, teacher, and administrator attitudes toward school technology. 2. Sustainable: Because most students will already have a cell phone or mobile device, parents can buy the technology for their kids, and schools can purchase only the software. 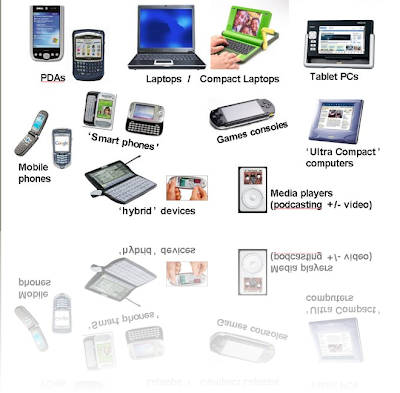 Also, students prefer handheld technology to laptops because it's more portable. At the same time, handheld devices, software companies, and educators are creating programs to help implement mobile devices into the curriculum. Innovate-Live webcasts, produced as a public service by our partner,ULiveandLearn, allow you to synchronously interact with authors on the topics of their articles. Webcasts will be archived and available in the webcast section of the article and in the Innovate-Live portal archive shortly after the webcast. All times are New York time. You may use the world clock at http://www.timeanddate.com/worldclock/ to coordinate with your timezone. In addition to the webcasts with Innovate authors, Innovate Ideagora editors Alan McCord and Denise Easton will conduct a number of open access Ideagora webcast interviews in the Innovate Live Portal at http://www.uliveandlearn.com/PortalInnovate/ on March 25, 2009. Nibipedia Makes Video Even Cooler for Education! Can the CrowdSPRING Model Help Education? I wanted to let you know about a free e-book which is now available. 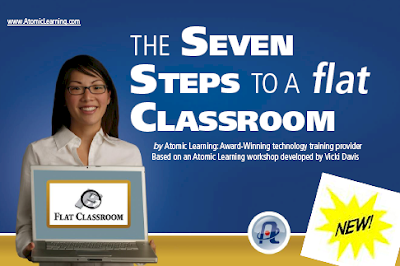 The e-book, The Seven Steps to a Flat Classroom is based on a tutorial series by Vicki Davis. Vicki also graciously contributed a preface to the e-book. Senior Marketing Specialist, Emily Lachinski writes, "the additional two parts of the e-book will be releasing in the coming weeks. They will also be free. We can now work with almost anyone, any place, and at any time – and our classrooms should reflect that. The flat classroom is about introducing our students to the world in safe, meaningful ways that will enrich and augment the things that are already working in our schools. This e-book is based on an Atomic Learning workshop developed by Vicki Davis, who has been recognized for her innovative use of the Web in the classroom. Julie Lindsay and Vicki Davis are actively authoring a book to be published within the next year about the amazing Flat Classroom™ projects and you may follow this on her blog, Cool Cat Teacher or their website www.flatclassroomproject.org. They have many projects now that operate on a year round basis and also mentor as much as we can. First came desktop computers. Then laptops. Now, some argue the cellphone will eventually reign supreme as the preferred classroom computer. Marina Romanyuk (left), Amy Herman and Christina Mai (right) aren't text-messaging their friends on these cellphones. They are using them for their classwork. At Keller's Trinity Meadows Intermediate School, a class of fifth-graders already is testing that theory. On a recent morning, the children sat in groups, gripping phones as they rapidly punched buttons and stared into tiny screens. "Laptops are oh so '90s – they're your parents' generation," said Elliot Soloway, a University of Michigan professor who created the software that the students are using. "While every kid does need a computer, the computer that will happen on will be cellphones. The cellphone is now as important as a pair of shoes or a coat." eduFire.com, a rapidly growing online education community and marketplace, has launched eduFire Classes, a new service that makes live online group classes available to the public. Classes are currently being offered on the site in subjects such as foreign language learning, exam prep and computer programming. eduFire Classes allow teachers to reach a global audience and students to learn in an interactive group setting. Teachers use a combination of live video instruction via webcam, whiteboards, presentations and text and voice chat to interact with students. Classes can be offered free or a fee can be charged.“More than ever in this economic climate people are looking to sharpen their skills and expand their education”, says Jon Bischke, eduFire’s Founder and CEO. "We feel that the eduFire Classes service is the most convenient and cost-effective way for students to learn and the most flexible online platform for teachers." 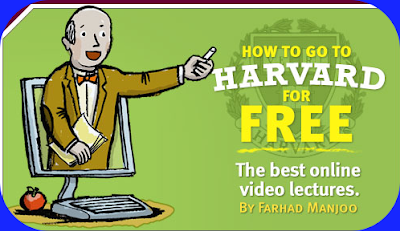 We have a simple (but not easy) mission: Revolution education. 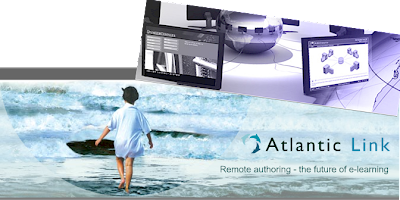 Our goal is to create a platform to allow live learning to take place over the Internet anytime from anywhere. Most importantly...for anyone. We’re the first people (we know of) to create something that’s totally open and community-driven (rather than closed and transaction-driven). We’re excited to create tools for people to teach and learn what they love in ways they never imagined possible. If changing the world is your thing and you’re as passionate about education and learning as we are, please get in touch.